Telogen Effluvium – What is Telogen Effluvium and What Can Be Done? Telogen Effluvium occurs when sudden or severe stress causes an increase in the shedding of the hair. With Telogen Effluvium, a sudden or stressful event can cause certain hair follicles to prematurely stop growing and enter into the telogen (resting) phase. The hairs affected by Telogen Effluvium will then stay in the resting phase for about three months after which time they will shed. Often the person experiencing Telogen Effluvium will have recovered from the event before the hair loss occurs. In most cases of Telogen Effluvium the hair loss is temporary and the hair soon recovers. However, in some cases of Telogen Effluvium the hair loss continues until the underlying cause is resolved. What is Chronic Telogen Effluvium? Chronic Telogen Effluvium, also known as Diffuse Hair Loss, is a prolonged hair loss condition that displays the same signs as regular Telogen Effluvium, however, the one main difference is the length of time the condition lasts. Whereas Telogen Effluvium is temporary, lasting up to six months, and the hair may grow back by itself, Diffuse Hair Loss is more severe form of this condition. The main signs of Chronic Telogen Effluvium are that it lasts longer than six months and the scalp shows signs of hair thinning but no loss of follicles. How Do I Know if My Hair Loss from Telogen Effluvium is Chronic or Not? Whilst the length of time the condition lasts is the main difference between Telogen Effluvium and Diffuse Hair Loss, you will need to have a professional hair loss specialist assess your hair loss condition to ensure you have an accurate diagnosis. This is particularly important with cases of Telogen Effluvium – both regular and chronic – as it is crucial that the underlying cause of this hair loss, which is often a side-effect of another health condition, is treated in addition to the hair loss. There are examples of Telogen Effluvium pictured below, and you can find out more about Chronic Telogen Effluvium on the Diffuse Hair Loss page. Yes. 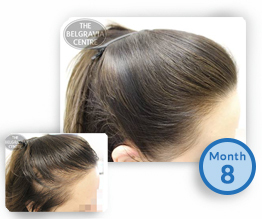 Telogen Effluvium is regularly seen in our hair loss clinics and is treated with a high degree of success. Although hair lost through Telogen Effluvium will normally grow back on its own, our treatment programmes can help to grow the hair back as quickly as possible and in optimal condition. Results may vary and are not guaranteed. For Telogen Effluvium that is on-going, we concentrate not only on solving the underlying problem, but also in making sure that the hair loss is being prevented with treatment whilst the causes are being dealt with. If you would like more information on the most effective ways of treating your condition, contact us. Telogen Effluvium appears to affect more women than men because more of the precipitating events, such as childbirth, are experienced by women. It is quite common for some women to experience some hair loss approximately 3 months after childbirth. This hair loss is triggered by the sudden changes in hormone levels and is classed as a form of Telogen Effluvium. Some statistics suggest that 20% of mothers experience Telogen Effluvium hair loss after childbirth and others suggest a figure closer to 45%. Fortunately in most cases the hair will return to normal 9-12 month after the child’s birth. Many women notice that their hair is thicker and healthier during pregnancy, this is due to the increased levels of the hormones oestrogen and progesterone which cause more hairs than normal to remain in the growth phase. When the child is born however many of the hair follicles that had delayed entering the resting phase suddenly enter the resting phase due to the rapid drop in hormone levels. This is called Telogen Effluvium and as a result, these hairs are then shed about 3 months after the birth. Similar to the way in which Telogen Effluvium hair loss can occur after giving birth, Telogen Effluvium can also occur after an abortion or miscarriage when the hair loss is triggered by sudden changes in hormone levels. Hair that has remained in the growth phase due to increased hormone levels will suddenly enter the resting phase and will be shed approximately 3 months after the event. Birth control pills affect the hormone levels within the body and these hormone levels can affect hair growth. In some cases hair loss may occur due to the male hormones present in some types of contraceptive pills. This type of hair loss is similar to pattern baldness or androgenetic alopecia. However discontinuation of The Pill can result in Telogen Effluvium hair loss similar to that which occurs after child birth due to the drop in hormone levels. The shock involved in a major operation can result in sudden Telogen Effluvium hair loss. Also, after micrograft and minigraft surgery where follicles are transplanted on the scalp, Telogen Effluvium almost always occurs. Due to the shock of surgery the hair follicles will fall out within about 3 months after which time new hairs will grow from the transplanted follicles. Some drugs have been reported to cause hair loss in some individuals. While not everyone will experience hair loss, some drugs are more likely to cause hair loss than others. 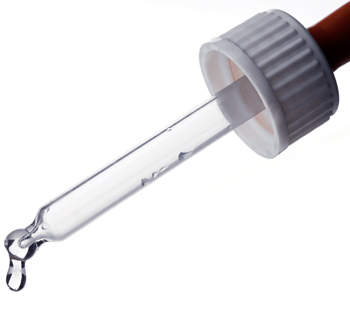 The above drugs are only a few of the drugs that have been reported as contributing towards hair loss. If you suspect that prescription drugs that you are taking are causing hair loss you should discuss this with your doctor. Some people experience Telogen Effluvium or sudden diffuse hair loss after a traumatic event such as the death of a family member or someone close, an accident, divorce, abuse or any other severely traumatic event. These events may trigger hair follicles to enter the resting phase prematurely, in which case an increase in the amount of hair shed will be noticed about 3 months after the event. The above types of hair loss are usually temporary and in most cases hair will grow back normally soon after it has fallen out. In some cases where diffuse and sudden hair loss occurs, if untreated, the hair loss may continue until the underlying cause is treated. 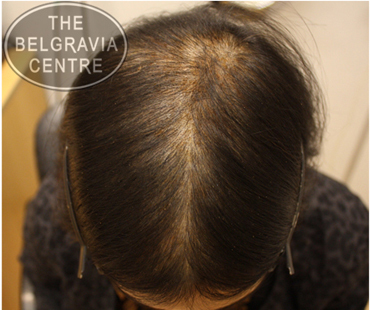 The following examples show a number of Belgravia patients who have come to us for treatment for hair loss caused by Telogen Effluvium, and experienced a range of promising results. These case studies are taken from our extensive Hair Loss Success Stories gallery and you can view each individual’s story, including more ‘Before and During’ treatment photographs, by clicking on their images below. Please note results may vary and are not guaranteed.